Hanging up the call , i stretched my hands infront of me and started scanning the skin . Mom was right ! Winter was never a comfortable companion for the skin . Running my fingers over my skin , i could , to my dismay , feel prickliness at places . I harked back those childhood days when my mother would chase me down to the floor for her coconut oil therapy . She used to spread the luke warm oil on my hands and feet and would massage them diligently focusing on my joints , until her hands felt weak . How those therapies used to leave my skin all smooth , shiny and refreshed ! After an hour of oil massage on my scalp , my mom would let me take a bath with warm water mixed with coconut milk. Not to forget the glasses of coconut water which would leave behind an admirable glow on my skin ! 1 . The coconut fruit , water and milk , contain anti oxidants , thus supplementing the skin with anti ageing and anti cancerous properties along with vitamin E and minerals like magnesium and potassium . 2. The coconut milk rich in lipid content ,helps in maintaining the moisture of the skin , as it would seep into the skin deeper , thereby sealing the pores and making the skin smooth .The coconut oil when applied to the heel cracks and frayed skin recharges the skin and thus it regains its vitality and suppleness . 4 . 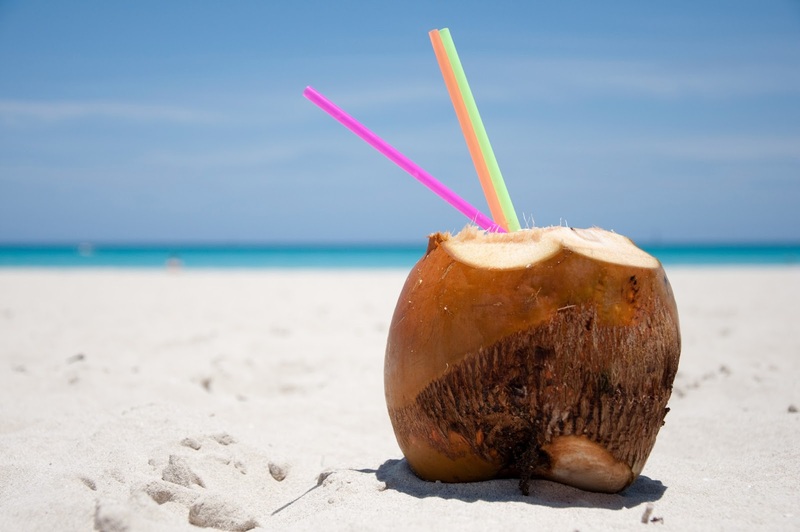 Coconut water is great to replenish the water content of the body . 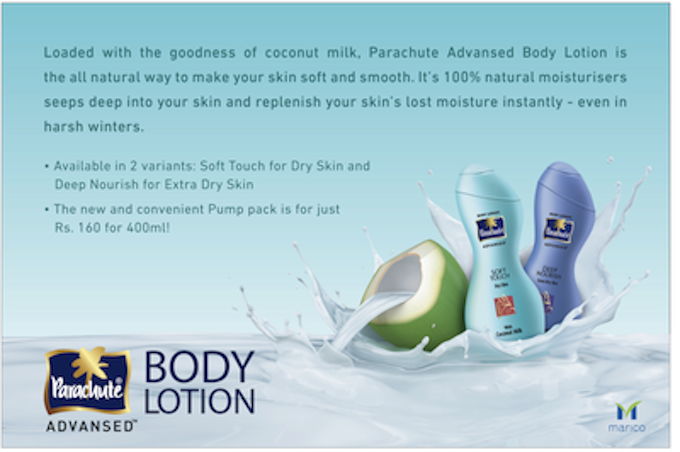 The widest grin adorned my face as I found the perfect solution to my problem – ‘ The Parachute Advansed Body Lotion ‘ , available in two varieties – Parachute Soft Touch for dry skin and Parachute Deep Nourish for extremely dry skin . I learnt that they were available in 400ml bottles with a remarkably reasonable price of Rs 160 ! I could use it every single day , even on duty days , rather than squeezing in hours every week for the coconut oil therapy . It , coming in a small PumFp bottle further adds to the portability as well . The brand being Parachute , there was absolutely no space for any doubts or worries regarding the quality ! I beamed with happiness on adding a task to my To -Do list – ‘ Buy Parachute Advansed Deep Nourish tomorrow itself ‘ ! Great stuff from youR colouredbydreamz.blogspot.ru , man. Ive read your stuff before and youre just too awesome. I love what youve got here, love what youre saying and the way you say it. You make it entertaining and you still manage to keep it smart. I cant wait to read more from you. This is really a great blog. Well done! Best wishes for the contest! Thanks for revealing the secret Maliny..
Hey very nice post! Coconut is very advantageous in every form which is similar to banana. All parts are used for something or the other. Good luck for your contest! Great info, Maliny. Nice one. I enjoyed it. Al the best for the contest! Hi, I am DEEPAK, author of blog “The Original Poetry” & I hereby Nominate your blog for THE LIEBSTER BLOG AWARD. Deepak : I am honoured ! Thankyou tons 🙂 I will definitely be at your blog in a short while . . Keep writing 🙂 and congrats on your award too ! All the best for the contest, Maliny.